The Bureau of Economic Analysis recently released data on personal income growth between 2016 and 2017 in each state and Washington DC. 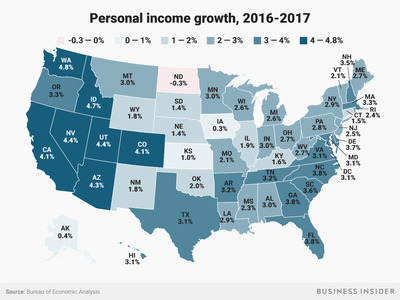 Income rose in every state except North Dakota, with Washington state taking the lead with a 4.8% jump in personal income. 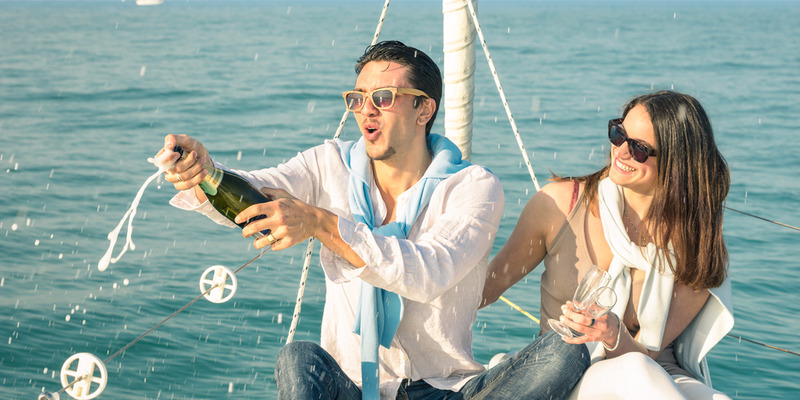 Personal income rose in every US state but one last year, according to the Bureau of Economic Analysis. The BEA recently released data on personal income in each state and Washington DC, including the per cent change in total income for residents of the states. According to the release, income increased in every state except for North Dakota between 2016 and 2017. Washington state had the highest growth rate of 4.8%, and several other states in the West saw especially strong income growth.